With an earring add-on you can create a cool and unique look for your old ear stud. This by placing the pendant on the backside of the earlobe, on the bar of the ear stud. The fan will then be hanging right under your earlobe as you can see on the product image. This earring add-on has a long row of very small crystals of 1 mm on the top. Due to the small size of these crystals they do not emit a very strong glimmer. There is also no need for that as the real eye catcher consists of the row fake pearls that end with a short spike. 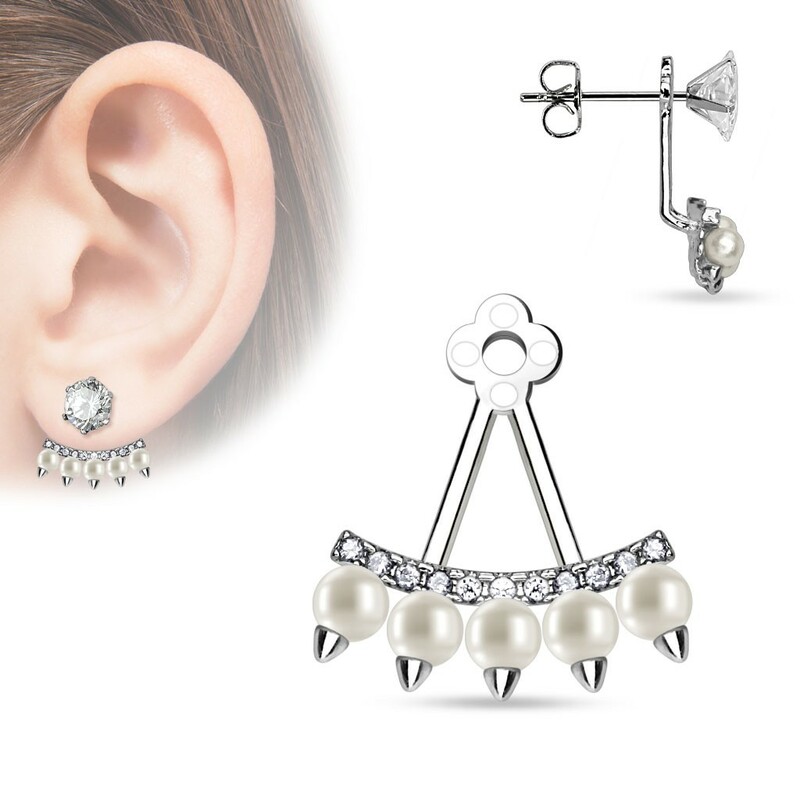 With 1.5 cm wide this earring add-on is perfect for both casual and the more formal outfits.